sugarselections wrote: LHC does/did have Aussies. Several people here at the HCA got them from her. I got some from her a year ago. Other people/companies have imported Aussies to the US before her, as well. I know Edis said he got his too but it was over a year after he placed his order that he recieved them. So yes, she does/did have them. But, from glancing over this thread, being listed as "in stock" doesn't seem to be any guarantee that she actually has them still/again. I know. I'm not saying that anyone who places an order with LHC now will ever receive it. It's just that there are people saying she never imported Aussies at all. That's not true. PP. E. Straw. Indo. Rug. Viola. Aussie. Blueberry. 2 trouble-making dogs. 3 impossible cats. 1 lazy betta. So LHC is a dead end. Is there any place left to get ruggies or other exotics? I can't even get E's in my local pet stores any more. Not sure why those Aussie crabbers aren't aware of this, it's on file with their government. Wode, they posted pics of a .gov website showing that there was an application filed by Merv Cooper. I remember her having aussies before; I am just amazed that LHC is still in business at all. Since I don't purchase crabs at all, I don't know anywhere that one would get exotics. The weather is also at record highs for this month so I wouldn't want to risk having a crab shipped at all. Heat index is 102°F here now and will probably be 115 by next month. Last edited by soilentgringa on Sat Jun 18, 2016 4:45 pm, edited 1 time in total. It says they cannot send crabs through the mail. Within Australia yes, they do not permit live animals in their mail. To import any animal to the US it has to be sent via air freight to only a handful of airports that have the customs staff that can inspect and clear it, and the expense and fees run in the thousands so it would always be bulk orders. Drop shipping any live animal from another county to a home address is illegal. wodesorel wrote: Within Australia yes, they do not permit live animals in their mail. To import any animal to the US it has to be sent via air freight to only a handful of airports that have the customs staff that can inspect and clear it, and the expense and fees run in the thousands so it would always be bulk orders. Drop shipping any live animal from another county to a home address is illegal. Gotcha! Thanks for clearing that up. soo has anyone ordered from that website within this year? just wondering incase if I order I don't wanna get ripped off. Orangeguy wrote: soo has anyone ordered from that website within this year? I ordered a few weeks ago. dang let me know when and if they do arrive and I wish the best of luck to you! I just. I have no words. 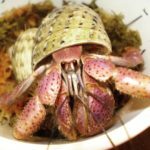 livehermitcrabs.com is having a grand reopening ive put an order in for 2 violas and ill keep an update on whats going on! Orangeguy wrote: livehermitcrabs.com is having a grand reopening ive put an order in for 2 violas and ill keep an update on whats going on! I am so tempted to order! And 15% off on Violas! The problem is, it says they will ship October 1st, and that gives a month before the start of the cold season for anyone in the north, so "Shipping may be delayed due to temperature". Why couldn't they have opened in June? I don't get exotics in my area, so this would be my only option. I hope it works out, but have no faith in this company.